This reusable silicone mat is a must for all bakers and home chefs! The non-stick surface eliminates the need for oil and cooking sprays. 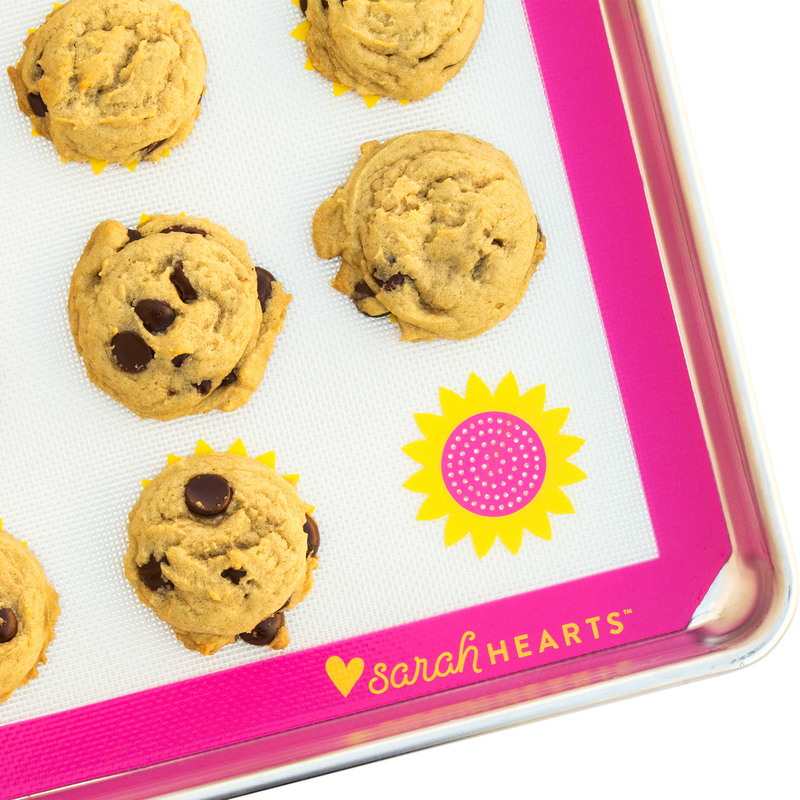 Food just easily lifts off the mat after cooking keeping your baking sheet nice and clean. The sunflower design can be used as suggested placement for cookie dough, inner pink circle can be used as a macaron guide.